Lately the Ketogenic Diet has become all the rage and I frequently get asked by friends, patients and random Facebook acquaintances for keto friendly (or just generally healthy) beverage ideas. Whether you're following the Keto Diet, Paleo, Mediterranean or just trying to be a little healthier in general, avoiding sugar-loaded drinks is always a great start for reducing blood sugar and insulin spikes, while limiting consumption of empty calories. 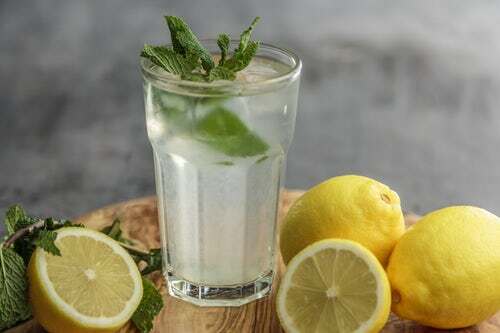 While water is always best, (especially in these warm summer months as I write this post) here are some of my other favorite low carb beverages! KeVita- Probably the number one question I'm asked by my Keto clients is whether kombucha is "allowed" on a Ketogenic Diet. While kombucha is loaded with gut-friendly bacteria, unfortunately it can be higher in sugar and some drinks will pack half to a full days worth of carbs in one store-bought bottle. As for those who prefer to make their own kombucha, there is just no way to find out how much sugar remains in your batch once it's done with the fermentation process. For my kombucha-loving peeps looking to fill that refreshing void, there is another fermented beverage called KeVita that is comparable in taste and lower in carbs, specifically the Lemon Cayenne flavor (contains 2 grams of carbs in the entire bottle). You can find this in most grocery stores that carry kombucha. 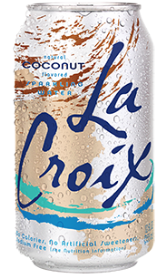 LaCroix Sparkling Water- If you haven't yet tried LaCroix you're seriously missing out! With flavors ranging from coconut to apricot to lime and pretty much everything in between, this beverage has an option for everyone! But don't expect an intense burst of fruit flavor with this beverage as it is unsweetened and basically just contains a subtle hint of flavor. But, it's a change from plain ole water (not that there is anything wrong with plain water!) and contains no calories and carbs. My personal favorite is coconut. You can find LaCroix (or similar sparkling beverages) at most grocery stores and Costco has even started carrying this brand! Zevia- For those soda and diet soda drinkers out there, Zevia is a great replacement for sugar and chemical-filled sodas! Zevia is sweetened with stevia (a natural sweetener) and contains 0 calories and carbs! The ingredient list is also MUCH shorter (and easier to decipher) than your average soda can! Ingredients include: Carbonated Water, Natural Flavors, Stevia Leaf Extract and Citric Acid. Flavors range from Ginger Root Beer to Cream Soda (my personal fave! ), Black Cherry, Strawberry, Orange, Lemon, Dr. Zevia, Ginger Ale, Grape and plain Cola flavor. You can find this in many grocery stores (Fred Meyers carries it!) as well as natural grocery stores (Whole Foods, Market of Choice, Natural Grocers here in Bend). While the above mentioned beverages all make for a refreshing change of pace, I don't necessarily recommend relying too heavily on canned beverages for daily fluid intake. In addition to getting expensive overtime, I'm not sure how many chemicals come along with these aluminum cans and I'm not certain if the water in these products is filtered. Thus, I typically have a pitcher of some form of *filtered* flavored beverage in our fridge at all times. I begin by filtering all of our water through our Berkey Water Filter (we carry these filtration systems in our local office in Bend OR) then adding various flavoring agents. Here are a few of my favorites! Apple Cider Water- You can actually buy these at the store for $2-3 dollars per bottle, however being that a large bottle of organic apple cider vinegar will run about the same price, it just makes sense to save your money and make this at home! Its as easy as filling a pitcher with filtered water and adding 2-5 tbs of apple cider vinegar (more or less to taste). I also like to add a couple of chunks of fresh ginger. You can sweeten it with a little stevia or monk fruit extract if desired. Apple cider vinegar is incredibly good for promoting healthy digestion, relieving symptoms of acid reflux (more on that can be found here) reducing blood pressure and cholesterol levels and even regulating blood sugar. It has also been found to be beneficial for weight loss. Lemon Water- Similar to the Apple Cider water above, but replace the apple cider vinegar with an organic lemon or two. I just slice the (washed) lemon into 4 pieces then squeeze the juice into my pitcher of filtered water. You can discard the lemon chunks or toss those in to the pitcher as well for added flavor. Sweeten with stevia or monk fruit if desired. Side Note: With acidic beverages such as the apple cider water and lemon water it is recommended to drink with a straw to limit exposure of these acidic products to teeth. Infused Water- Infusing water with a variety of fruits and even herbs is an awesome way to upgrade your beverage to the next level! 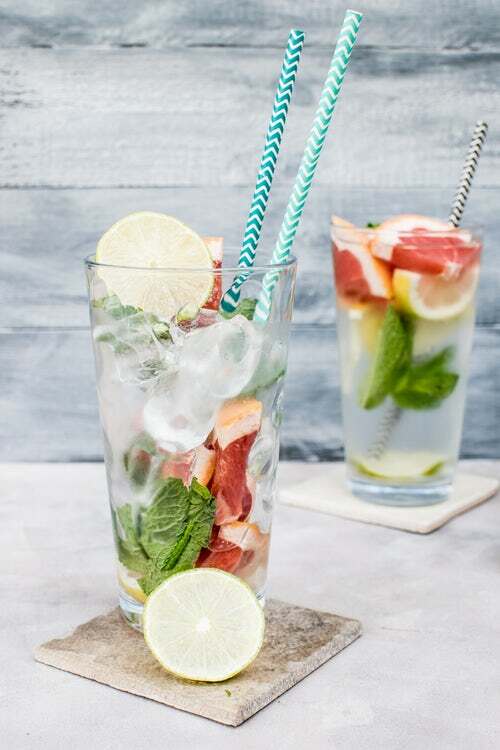 Start by filling your pitcher with filtered water then get creative by adding things like kiwi fruit, melon, mango, pineapple, cucumber, coconut, ginger, mint leaves, lemon, grapefruit, strawberries, pear and even basil and thyme! The website CulinaryHill.com has a great collection of infused water recipes! For those on a strict Ketogenic Diet, I recommend sticking to the lower carb options such as berries, citrus fruits, coconut, cucumbers and ginger as well as pretty much all herbs. My Thoughts on the Keto Diet- Is it for Everyone?